A nearby star, shown in red, is a fast-moving dim L-subdwarf and one of the new stars to be found in the sun's backyard. A NASA spacecraft has pounded another nail into the coffin of the hypothetical solar system body known as "Planet X" or "Nemesis." After scanning the entire sky, the space agency's Wide-Field Infrared Survey Explorer (WISE) found no signs of an undiscovered planet or other large body in the outer reaches of the solar system. The probe did, however, find several thousand new objects much farther out. WISE scanned the sky throughout 2010 and in early 2011, with a six-month gap between the two observations. By comparing the two sets of infrared images, astronomers could identify objects that had moved slightly across the sky. WISE imaged nearly 750 million stars, asteroids, and galaxies, some of which had never been spotted before. Luhman's study found 762 new objects among the data, but no signs of a Saturn-sized object out to 10,000 times the Earth-sun distance (an astronomical unit, or AU; 1 AU is about 93 million miles, or 150 million kilometers). Nor did Luhman spot any Jupiter-size or larger objects out to 26,000 AUs. 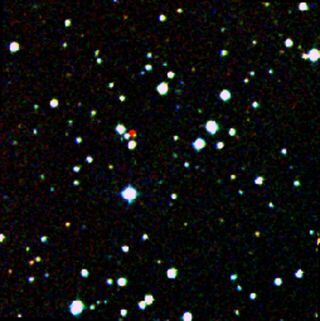 A second study, led by Davy Kirkpatrick of NASA's Infrared and Processing Analysis Center at the California Institute of Technology, discovered 3,525 new stars and brown dwarfs, some of which overlapped Luhman's finds. Brown dwarfs are objects that are larger than planets but too small to sustain fusion in their core as true stars do. As a result, they are far dimmer and more challenging to observe. "We're finding objects that were totally overlooked before," Kirkpatrick said in a statement. Some of these include extremely close stars, such as one located only 20 light-years away in the constellation Norma. A study that looked at WISE data last year found a pair of brown dwarfs just 6.5 light-years from Earth, making it the closest star system discovered in almost 100 years. "Neighboring star systems that have been hiding in plain sight just jump out in the WISE data," mission principal investigator Ned Wright of UCLA said in a statement. NASA's WISE telescope can spot objects such as massive planets and dim brown dwarfs in the infrared. However, no Saturn-sized objects were found out to 10,000 AUs, while no Jupiter-sized or larger objects were spotted out to 26,000 AUs, the region of the Oort Cloud. Planets in the inner solar system were easily spotted by early astronomers as they moved across the sky, as were the gas giants Jupiter and Saturn. More distant planets had to wait until the 18th century and the improvement of telescopes for their discovery; Uranus was discovered in 1781 and it took almost another 60 years to locate Neptune. At the turn of the 20th century, astronomers such as Percival Lowell continued to search for an even more-distant gas planet that could be responsible for disrupting the orbits of Uranus and Neptune. Lowell dubbed the putative body Planet X; his persistence led to the 1930 discovery of Pluto. By 1978, scientists had concluded that Pluto was too small to affect the larger bodies, and began searching for a large missing planet. In 1984, paleontologists claimed that a dim companion star to the sun would explain the periodic occurrence of mass extinctions on Earth. A massive body could theoretically disturb objects in the Oort Cloud surrounding the solar system, sending comets hurtling toward Earth with a deadly frequency. Known as Nemesis, scientists suggested the star could be a red dwarf, or a brown dwarf too dim to observe. But the massive body did not turn up in the data from WISE, which scans the heavens in infrared rather than visual light. Since both new studies turned up relatively distant brown dwarfs, they should have had an easier time spotting a companion close enough to the sun to disturb the Oort Cloud, but neither did. The recent data isn't the first evidence against the theoretical bodies. The link between Planet X and mass extinctions was ruled out some time ago. Several infrared sky surveys in addition to WISE have also examined the space around the solar system and found no signs of a companion star to the sun. After completing its primary mission, WISE began a hibernation stage. Reactivated in 2013 and named NEOWISE, the satellite began its current search for potentially hazardous comets and near-Earth asteroids, also helping scientists learn more about some that were already identified. Each of the two new studies found objects the other one missed, suggesting that even more distant neighbors exist outside the solar system. "We think there are even more stars to find out there with WISE," Wright said. "We don't know our sun's backyard as well as you might think."